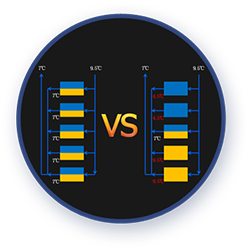 The unit control system can determine whether defrosting is necessary according to the ambient temperature in heading mode, evaporating temperature and running time; when defrosting conditions are met, the unit will automatically activate the defrosting program to complete defrosting within a short time and provide heating operation efficiency up to over 90% , ensuring the optimum heating capacity and high EER. 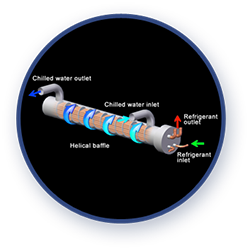 The waterside efficient shell and internal thread heat exchanger is of helical baffle type, with better heat transfer performance and higher resistance to freezing than plate heat exchanger, lower water resistance and lower requirements for water quality. 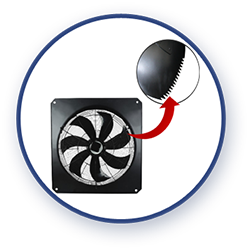 Compared to plastic Impellers, the saw-shaped Impellers provide large air volume, high durability and high air supply efficiency with low noise. 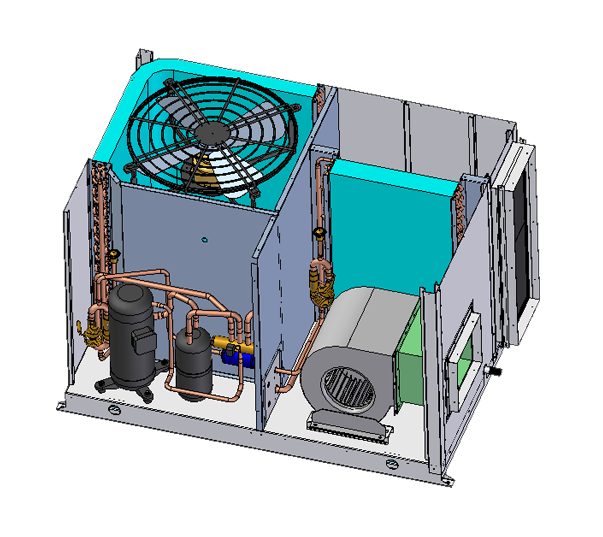 The shared duct system is adopted to greatly expand the operating range. 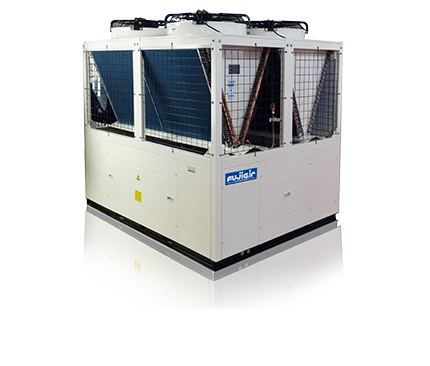 The single-module unit can automatically increase or reduce fans based on the ambient temperature to achieve optimal matching between air volume and load and deliver outstanding performance. 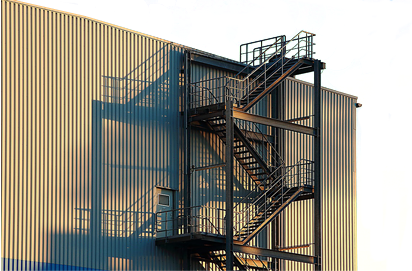 The v-shaped condenser has used an integral reinforcing metal frame, internal thread and triple anti-frosting features (patented design of open-window hydrophilic aluminium foil + bottom elevated + one-way value), providing higher structural stability and corrosion resistance; with heat exchange efficiency improved through full use of heat exchange area, low tendency to dust accumulation and frosting in winter, low loss of pressure, smoother drainage and higher reliability. Unit adopt famous brand hermetic scroll compressor, which is high-efficient, energy saving and operates stablely, with low noise, slight vibration and long service life. 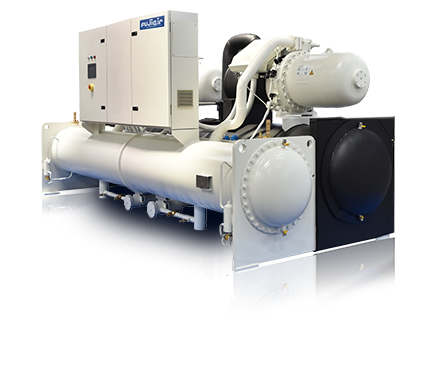 This range of units has been developed to meet the needs of typical applications. 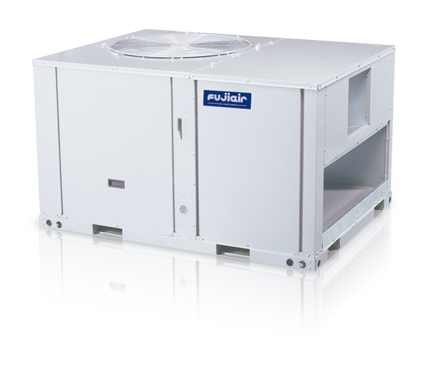 Should you have special requirements, please contact your nearest FUJIAIR representatives. 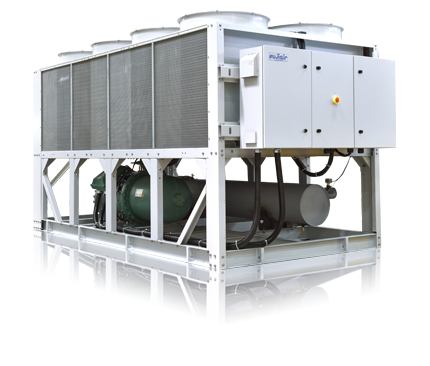 FUJIAIR engineers have extensive experience in designing air conditioning equipment for specific applications. 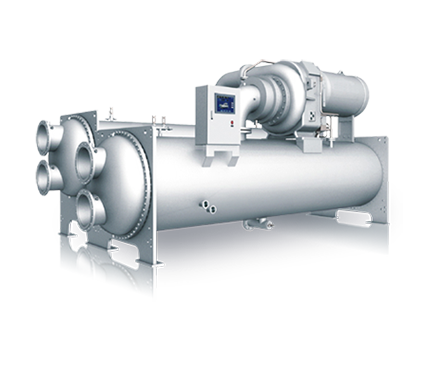 High efficiency scroll compressor for the whole range, with built-in thermal overload cut-out and crankcase heater, mounted on rubber vibration dampers. Quick release fasteners are provided on electrical and compressor panel. 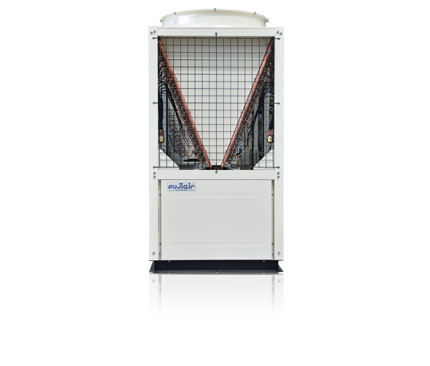 Removable the access doors on the filter, fan motor, and electric box sections, Provide convenient access to system components for maintenance and service. 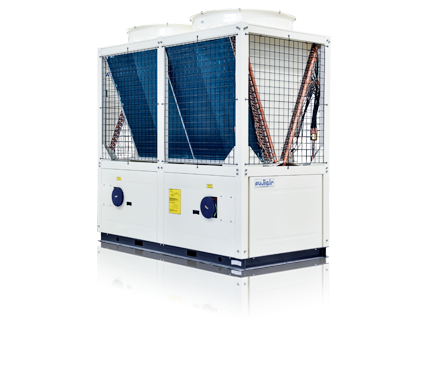 The packaged Rooftop series are basic constructed and engineered with noise reduction as a first consideration, low noise mounted fans are used, 15mm wave type acoustic Insulation for compressor section and compressors are mounted on vibration isolators. 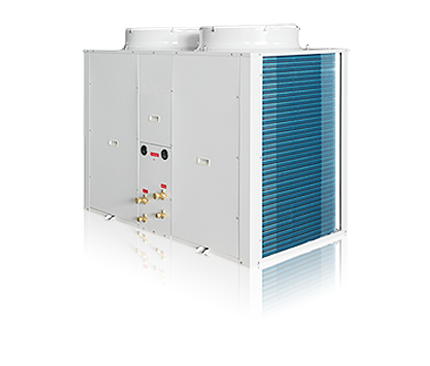 Ripple type acoustic insulation for compressor section, and thermal insulation for coil and fan section, reduce condensation and low noise. 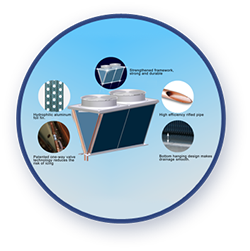 All units are tested at the factory to make sure no leakage for coil and provide reliable start up Coils are manufactured from seamless copper tubes mechanically expanded into aluminum fins. All coils are tested at 30kg/cm2 (450 Psi) air pressure, under water to avoid leakage. They also undergo dry chemical cleaning after manufacturing for optimum system cleanness. Our packaged systems are built tough to withstand all weathers. Their durable construction ensures a long life and excellent return on your investment. Air-conditioning technology has recorded more than a century and therefore Cooling / Heating any given indoor space is no longer a challenge. Oil, coal and gas accounted for about 85% of the world energy source and we know such supplies is not there forever. 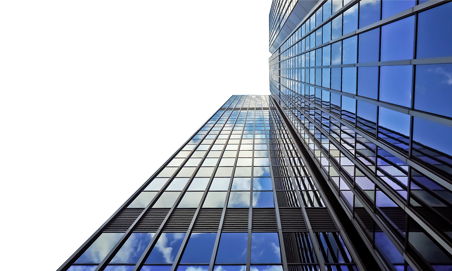 Air-conditioners and ventilators consume about 40% energy of a building, the biggest among all other appliances and equipment for a typical commercial high rise building. 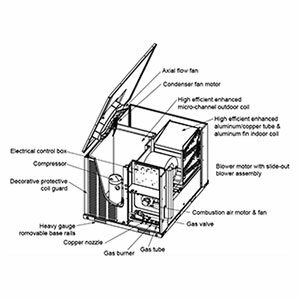 Therefore the key issue in air-conditioning is all about energy efficiency. 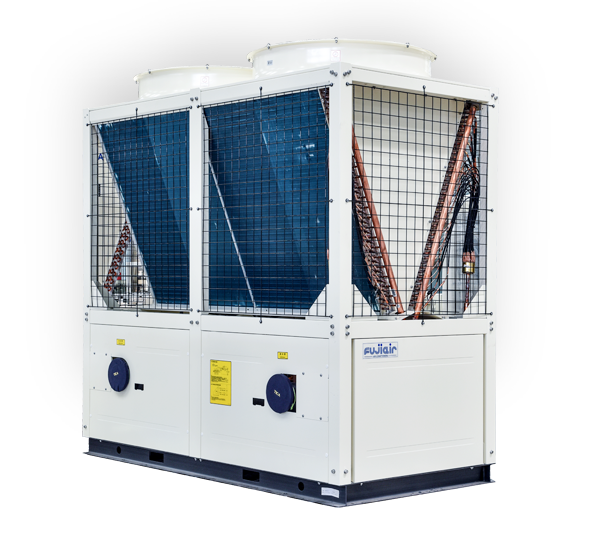 FUJIAIR engineers strive with successful energy saving products to a new height for building managers as well as home owners to realise lowest electrical bill ever. 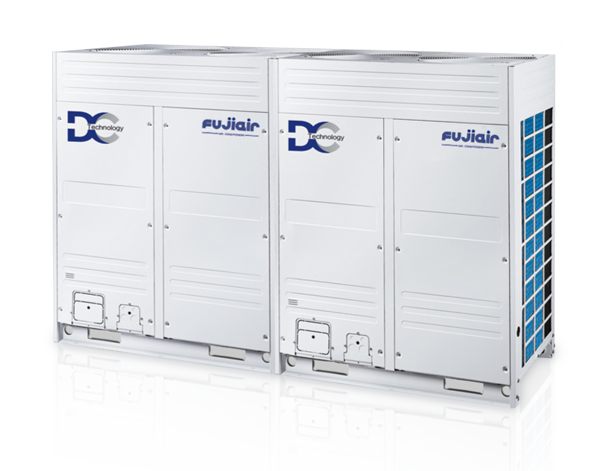 3-key approaches in power saving engineered by FUJIAIR; EER / COP / IPLV / SEER can be realised to new industrial standards. 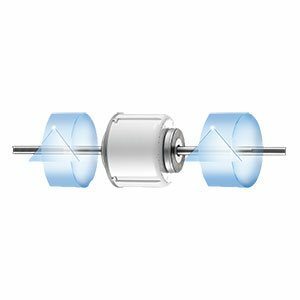 Oil free magnetic bearing is one of the “contactless” moving parts employ in FUJIAIR Centrifugal chillers. 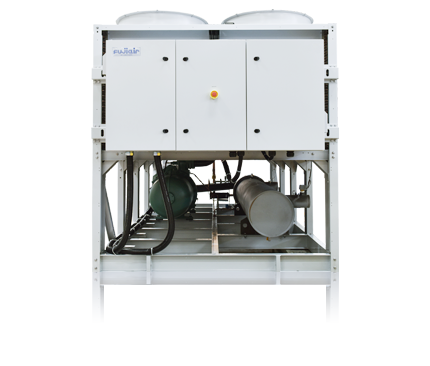 Variable Speed Drive (VSD) regulating compressor and motor power that commensurate with load demand, nothing to waste nothing under power. 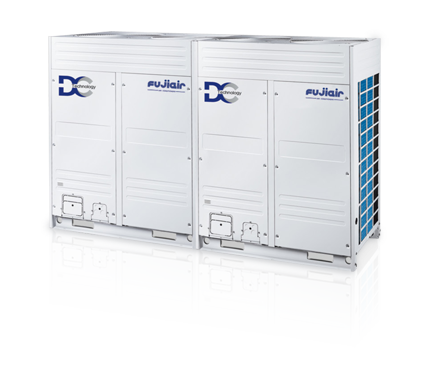 System modulation by combination of smaller capacity units. 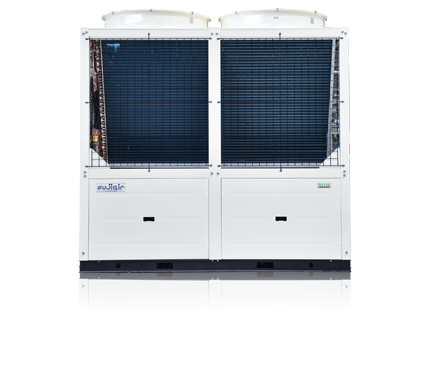 Air-source modular chillers/heatpumps and VRF system can solve most demanding engineers requirement. 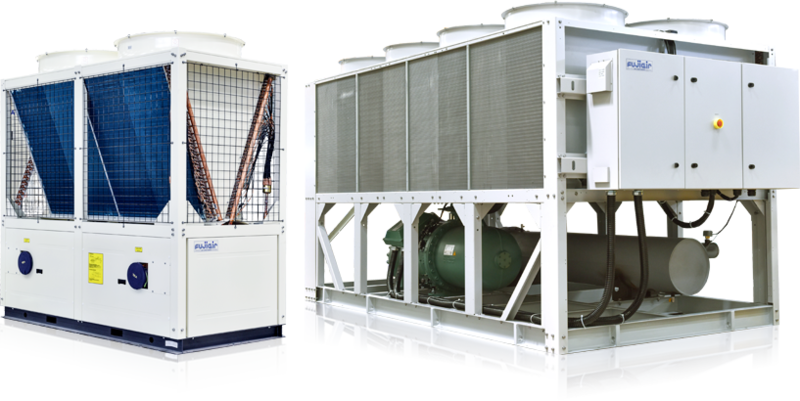 At FUJIAIR R&D, our Engineers are continuously working on the most energy efficient HVAC solution for a greener Earth. Leadership in Energy and Environmental Design (LEED) - Let’s support the mother Earth together!